In part one we push straight on with the Photo etched cockpit and the gear wells, engines and wings. In part three we finish up the build and mask up ready for priming. In Part Seven we work on the black work and the identification yellow strips. In Part 8 we decal and take care of some silvering, we then re shape the props to the correct shape. In Part Nine we give the model a wash with the Flory models Dark Dirt and Grey washes, then we sand the wash to give a flat weathered look. In Part 10 we finish off the sanding back of the wash and then start on the Chipping and weathering. 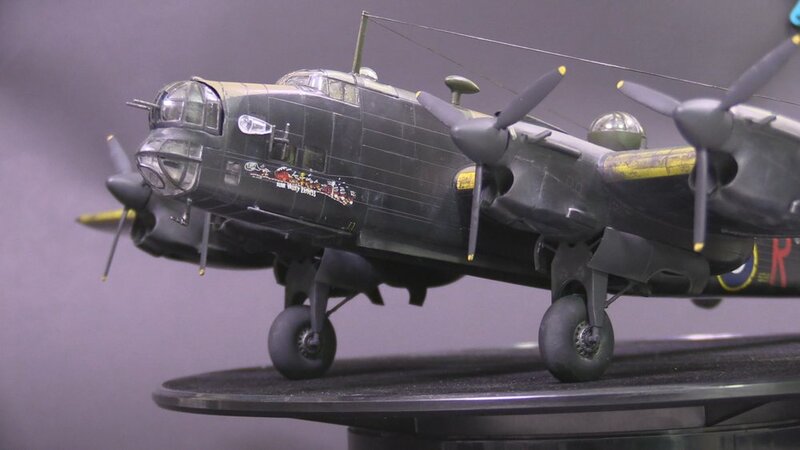 In Part Eleven we continue with the weathering with streaking and smoke effects with oils. In This final part, we finish off the weathering and attach the Antenna line ready for the final reveal.